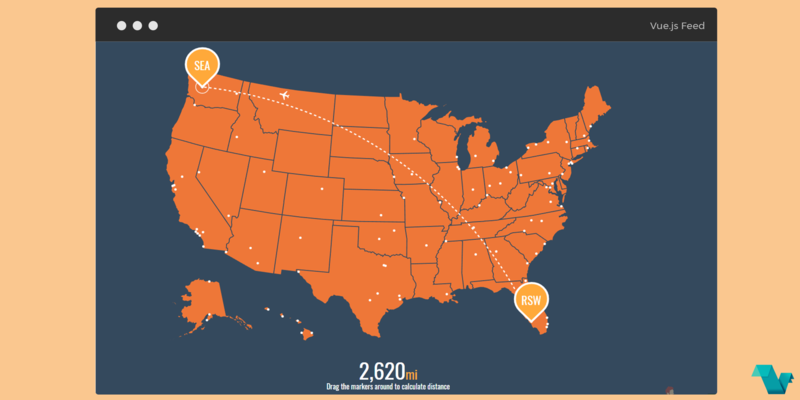 A calculator of miles between two airports in the United States made with Vue, SVG, D3.js and GreenSock. A map of USA with dots on where airports are located is used as an interface to drag the markers around to calculate the distance between 2 airports and display the distance in miles. Get the distance between two airports "as the crow flies.